The 'Big Easy' chukka is an excellent double added depth style from Drew. 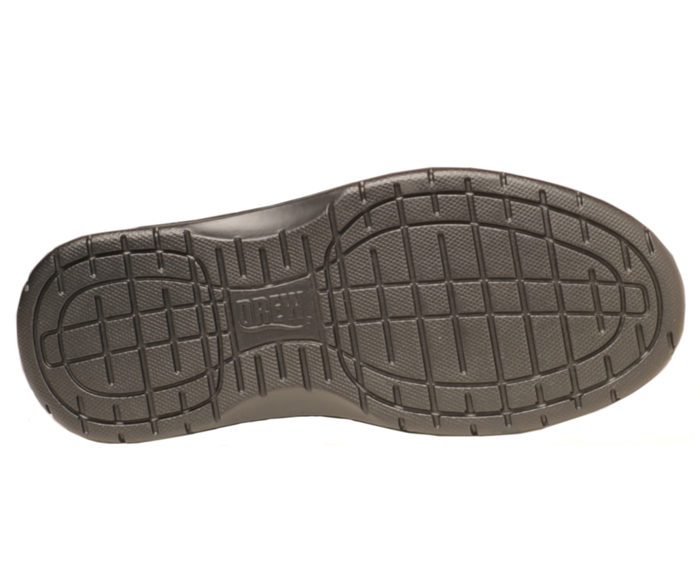 With the its double insole system, it has exceptional fit adjustability. A long medial counter provides superior stability and support. 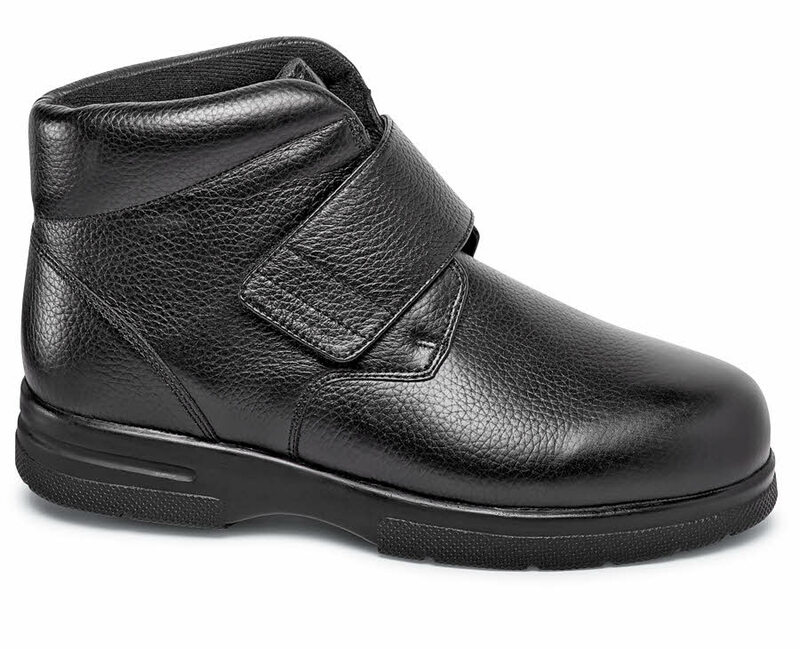 In addition, it has the convenience of a VELCRO® adjustable strap closure. The sole is shock absorbing polyurethane. Men's sizes 7-12, 13, 14, 15 and 16 in 4E and 6E.